Next Article Can telecoms providers really handle the ‘data tsunami’? My colleagues and I recently returned from one of the region’s largest technology events attended by more than 100,000 guests from 100-plus countries. They had the chance to see Sir Tim Berners Lee, the British engineer and scientist who is best known as the inventor of the world wide web, announce a new start up meant to decentralize the internet and restore power to the people in regard to their personal data. I personally find it energizing to know the world’s greatest living genius continues to turn the wheels of innovation 28 years after launching the modern internet. This news sums up one of the big themes at the show, that technology offers no value to us unless it creates experiences to augment the well-being of individuals and the larger society. It’s really about empowering people and improving our lives in ways never imagined. And I’m not just talking about flying taxis and a robot police force. Something a bit more relatable and closer to my heart – enabling future connectivity. The gap between what’s technologically possible and how organizations are leveraging technology continues to grow. As the Middle East and Africa region reduces dependence on oil and diversifies revenue streams, investment in the digital economy is paving the way for a future of connectivity. Our customers across the Middle East and Africa are seeing an appetite for unlimited network capacity across healthcare, construction, tourism, high tech and education as people are creating more data today than we have in human history. Whether it’s improving capacity, finding ways to decrease latency or creating connectivity, fiber is the foundation for networks in the future. Increased use of consumer technology is driving the need for bandwidth: The last few years have been game-changing with regards to video on demand for the UAE and the region. In addition to watching programs on their mobile devices, consumers are buying 4K televisions to stream internet-based programs which are including more local content. Revenues for virtual and augmented reality devices are expected to grow while smart home technologies like video security, front-door access and mood lighting are being developed to help consumers save money. Cities are being built from the ground up: The Middle East and Africa is driving innovation around the future of urbanism. Abu Dhabi and Dubai are among those cities seeking creative ways to use data to improve services and quality of life around healthcare, security, mobility, economic development and housing. Saudi is building four new cities by 2020, which means fiber can be laid everywhere without disruption to traffic and businesses. 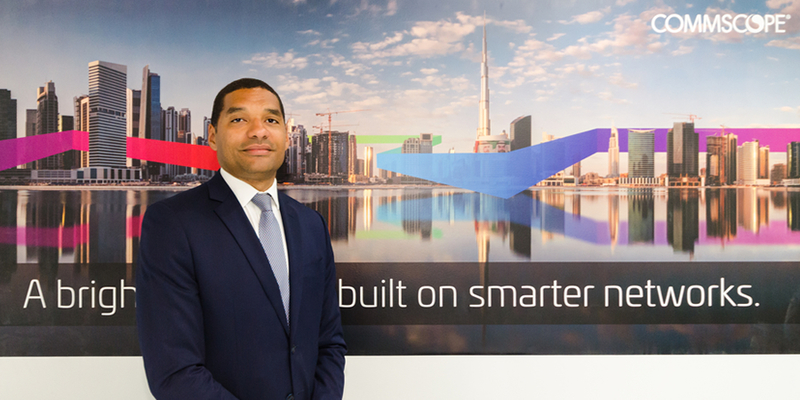 The UAE’s Smart City project is uncovering ways to improve traffic and energy networks across the globe. The region is focused on homegrown innovation: The region’s startup community is booming while entrepreneurs are creating Arab-specific mobile technologies which cater to education, logistics, design, finance and art, among other industries. 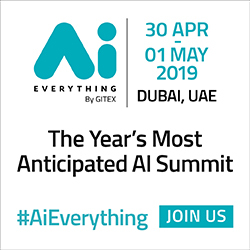 Dubai’s strategy to build the world's most advanced artificial intelligence ecosystem coupled with creative hubs like the Dubai Design District are underpinning digital transformation across industries. Digital foundation for smarter buildings: As the number of connected devices grows, the location of these devices is becoming more important. CommScope’s automated infrastructure management (AIM) system knows exactly what is connected, how it is connected and where it is located. The software automatically tracks changes, issues work orders and documents the entire network. It also provides root-cause analysis in the event of failure, helping restore services faster. Next to data transport, Power over Ethernet (PoE) is the most important enabler of devices that use structured cabling in enterprise buildings today. The new CommScope research and development lab hopes to demonstrate it doesn’t get too hot, at least for the cables involved. Datacenters which enable speeds of the future: With millions of online transactions happening daily, machines are sensing, analyzing and transmitting mission-critical information in milliseconds. According to Cisco, 400 GbE is now available for testing, deployment and adoption by network operators, paving the way for Terabit Scale Ethernet. With CommScope’s high speed migration solutions, we’re able to help datacenter managers accelerate the growth of their datacenter capacity and the speed of their digital transformation initiatives. We are quickly moving from 10Gb/s and 40Gb/s to 100Gb/s, 400Gb/s and beyond. The more data consumers and network users need, the more services they expect, the more critical speed becomes. This is a global phenomenon and one of the top challenges that data center managers will face. The road to 5G is paved with fiber: There’s a new era and standard for distributed antenna systems. The all-digital CommScope ERA upends the economics of indoor-building wireless with major space and fiber cable savings. The technology is a key enabler for network densification in LTE Advanced, Gigabit LTE and 5G. Existing ION-E systems can be software-upgraded to be interoperable with ERA. A recent Computer Business Review news story highlighted a report that found video accounts for 58 percent of “downstream” (consumer-side) internet traffic, with Netflix accounting for 15 percent of global internet bandwidth use. 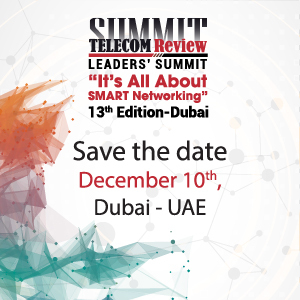 As my colleague Ehab Kanary mentioned in a recent blog post, the last few years have been game-changing with regards to video on demand for the United Arab Emirates and the region. YouTube was Saudi Arabia’s number one social media platform last year so it’s no surprise Netflix ranked second behind YouTube for the Middle East, Africa and Europe. These types of spikes in online traffic are yet another reminder that operators must ensure their network is speedy, reliable and consistent across all countries – including rural and hard-to-reach areas. This demand will not go away, with high performance gaming, streaming and on-demand content only going to grow in prevalence. Our customers across the Middle East and Africa are seeing an appetite for unlimited network capacity not only for video consumption but across industries like construction and high tech. Check out this video to uncover how Saudi Arabia is investing in a future of connectivity to enable a business-friendly environment. Providing network connectivity for people who reside in rural areas is part of the local vision to make sure that everyone is connected regardless of whether or not they live in cities, townships or in the rural areas, according to a recent Vodacom press release. It also states that the operator is taking serious steps in ensuring that people in rural areas are connected and have access to fast data speed so that they become part of the internet revolution and take full advantage of its positive impacts. I think our region is well placed to invest in the right areas if we work together. Technology offers no value to us unless it creates experiences to augment the well-being of individuals and the larger society. The digital economy depends upon ‘always available’ fast and timely mobile connectivity. Users desire it and organizations must deliver this service and go beyond being a provider. To truly innovate, they must harness the power of digital mobile technology.